Walsung raises the baners of the death next to Maléfice, that has been considered like the French answer for Summoning. 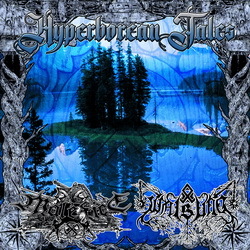 "Hyperborean Tales" features three previously unreleased songs from each band, one of which is the cover of Absurd performed by Walsung and featuring Warlord (Evil) on vocals. Vinyl limited to 300 copies in blue edition including 12" insert.